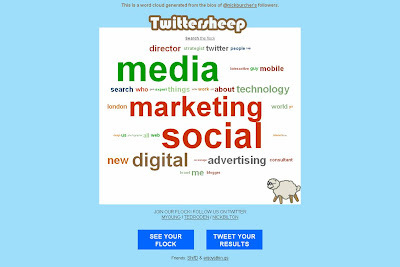 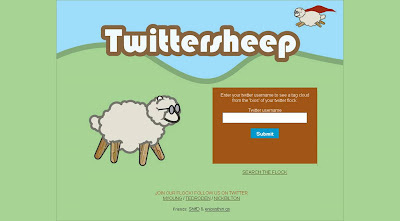 Twittersheep is a Twitter visualisation tool that gives a tag cloud based on the bio's of your followers. 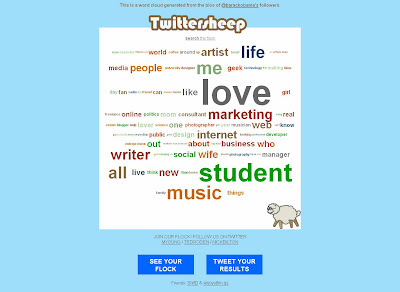 So according to Twittersheep the most prominent word in the biographies of Obama Twitter followers is 'Love' and the most prominent word in the bio's of Stephen Fry Twitter followers is 'who' (?) . 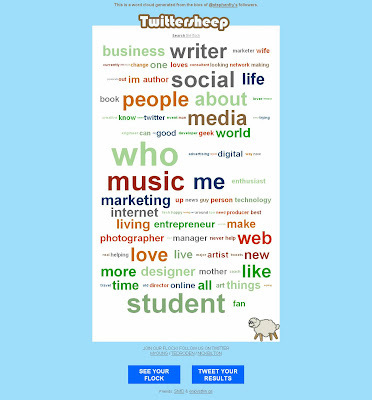 Also interesting to see that 'student' ranks very highly in the biographies of their followers.